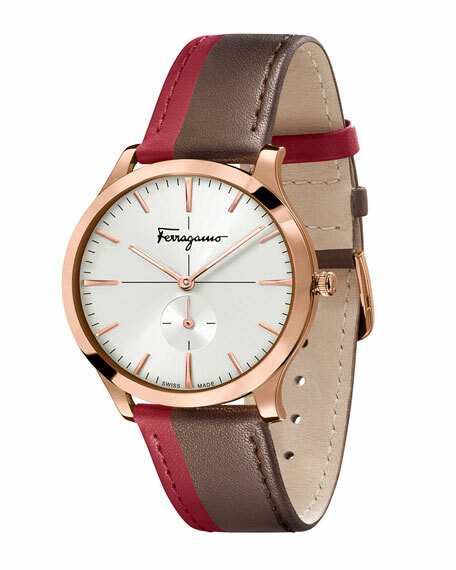 Salvatore Ferragamo "Slim Formal" men's watch. 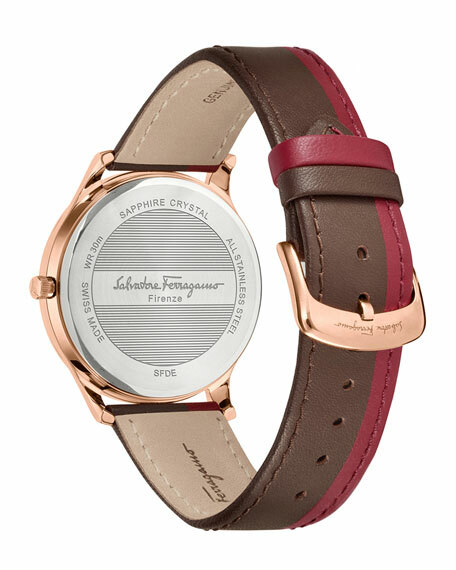 Rose golden-plated stainless steel sleek case. 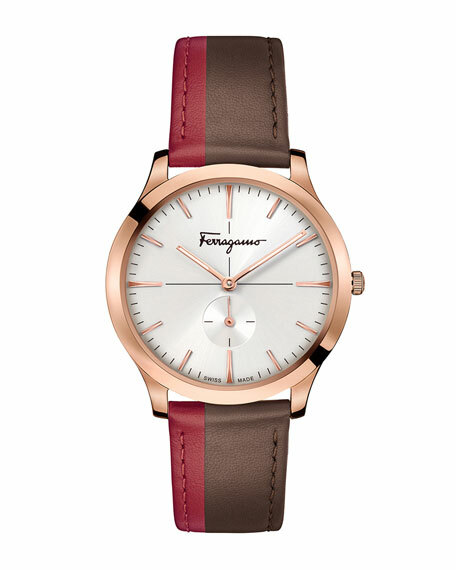 White dial with matching subdial. For in-store inquiries, use sku #2716475.